March contest winner is Bethany! It’s Spring! So this month’s art challenge is to design a cute little animal with a flower crown! (inspiration). *From left to right: Cross-hatch brush | Void Tendril brush | Blending brush | Soft outline brush | Iris (smudge) brush | Eyelash brush | Skin texture brush. You can download your tier rewards with the password that has been sent to you via Patron Message. If the password isn’t working, try typing it instead of copy-pasting. That should do the trick 😉 The download link expires on May 14, 2018. March mail will be shipped on or before April 17. “Medium Goodie Bag” tier Patrons ($25 – $35) who pledged in February and March will receive some extra milestone goodies. 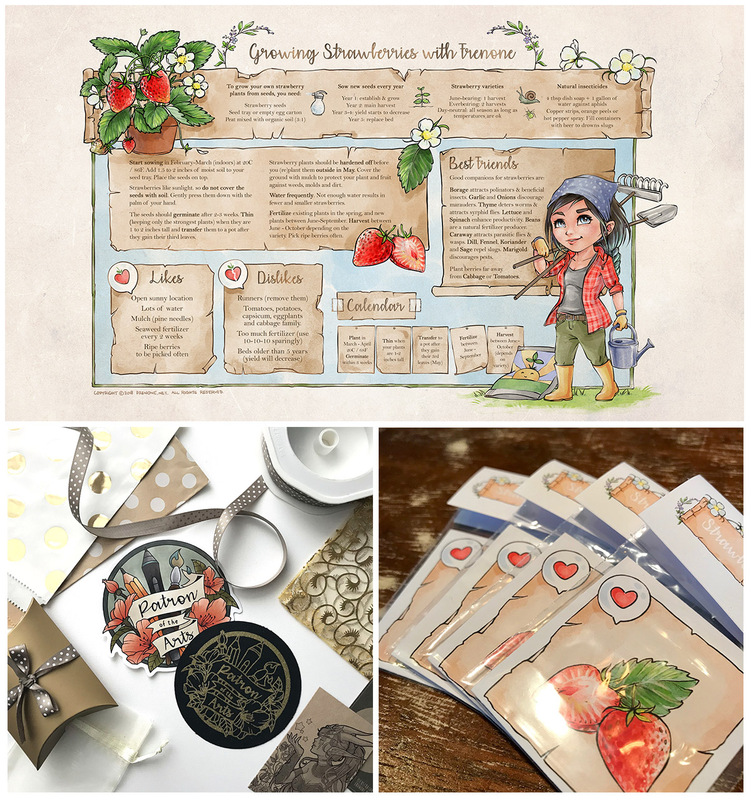 $15+: Patron of the Arts sticker + screenprinted patch, 20x30cm print of the Strawberry chart and a little custom package to store your strawberry seeds in. 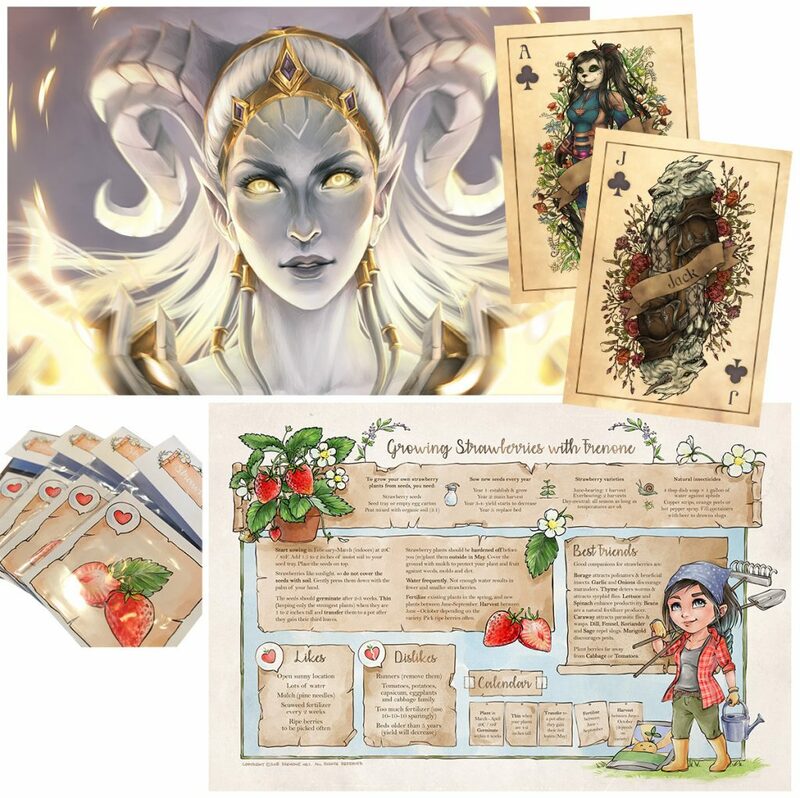 $35+: signed 20x30cm print (Lightforged Draenei), Genn and Aysa playing cards + signed 21x14cm prints and the Strawberry chart + (empty) seed package. 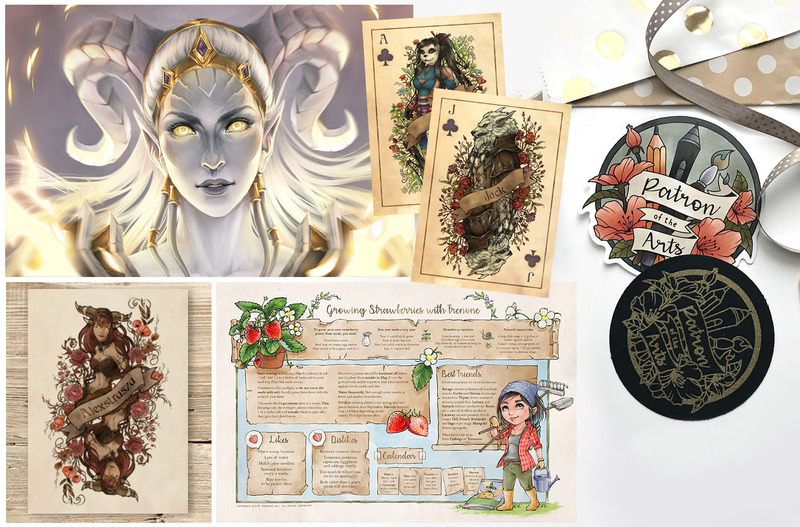 February patrons will also receive the Tyrande card + print and numbers 2-10 of Clubs, a signed print of the Witchy Greenhouse, Dragons cardstock print, Donuts mini-poster, and Patron of the Arts sticker + patch. 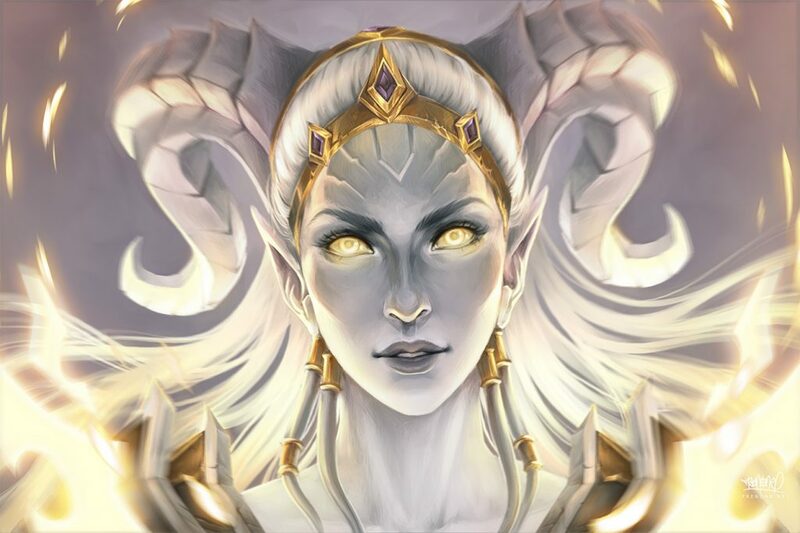 $50+: all of the above + A5 softcover notebook with Alexstrasza & Ysera playing card artwork. April’s coupon code will be created as soon as my pin order arrives. It will be a discount on all “Best Fren” & “Invincible” Enamel Pin pre-orders. The “Best Fren” pin is also an April reward for the $15 and $50 tiers (not $25-35). Shop link: frenone.net/store.